To further meet the needs of the gigging musician, we developed a Sound Port or 'SP' model which is geared towards providing the best experience for the live performer. These are our best selling instruments. The inclusion of a double top seems to be particularly effective on our SP models. 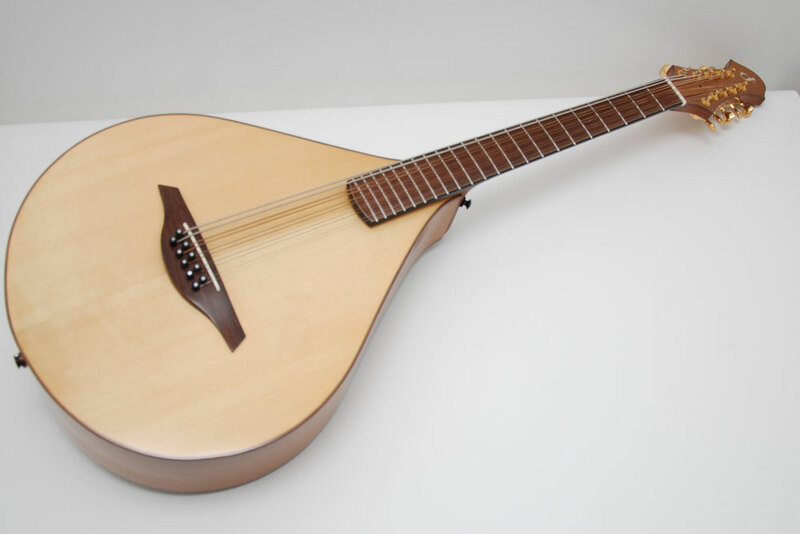 By constructing a soundbox with an enlarged side sound port facing the player and eliminating a soundhole on the top a number of significant improvements are achieved. 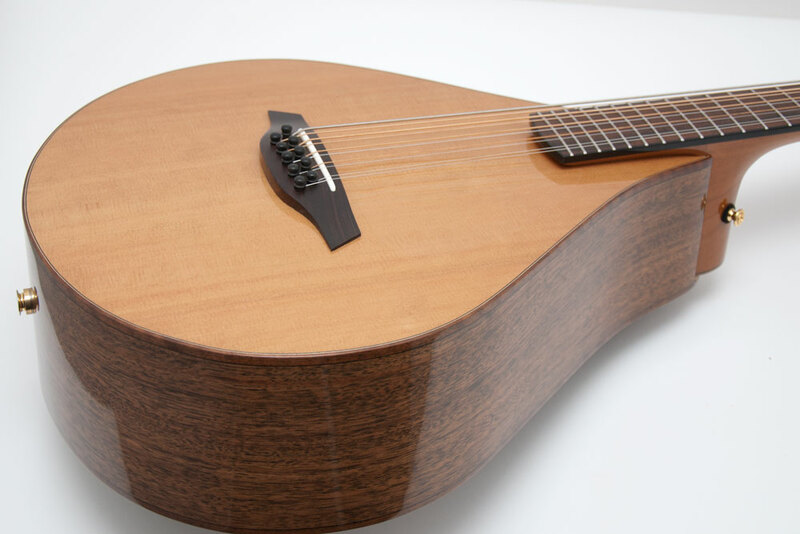 Eliminating the traditional soundhole allows for a simpler, lighter, and more efficient bracing scheme to be utilized, yielding a highly responsive top. Thanks to the increased vibrating plate area, the harmonic spectrum is also broadened for a rich tone. To make sure the audience hears the same tone that the player hears under his or her ear, a suitable pickup is carefully matched to faithfully reproduce the instrument's tonal character. While the instrument still maintains solid projection un-amplified, the enhanced response and nuanced tone show through the amplified sound using our shop-made piezo pick-up. However, when playing alone, the player gets the full sound of the manodcello presented right under their ear via the side port.